DRONE draws on research into the physical dynamics of insect flight and behaviour to offer a multi-sensorial installation informed by the integration of video projection with live immersive sound. Near the limits of audible sound are vague acoustic territories on the fringe of human hearing. These sonic spaces are teeming with environmental and increasingly with urban sounds that lie just beyond human perception. The Soft Transference series explores the relationship of the body to electronic devices and ambient electric fields. 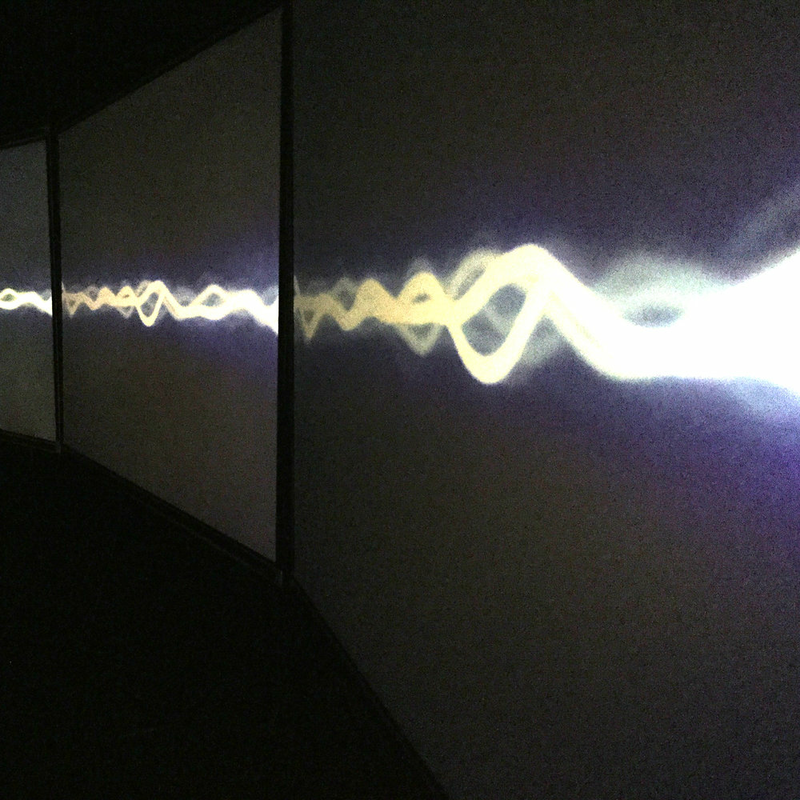 This multi-sensory installation offers people the experience of physically engaging with their sonic environment. 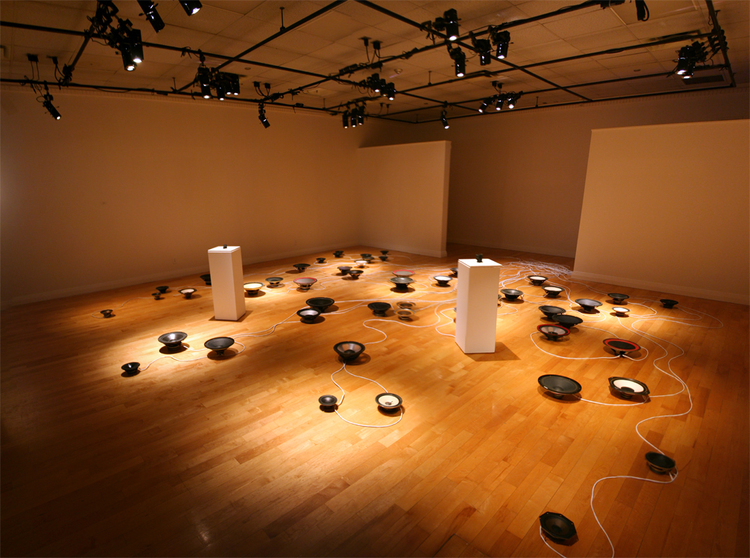 In this installation, a Pure Data program transforms live sound into speaker motion by altering pitch and reverberation.